Pick a time and turn it on; this high quality taper stays on for 6 hours, then turns itself off. It automatically turns itself back on the next night at the same starting time! 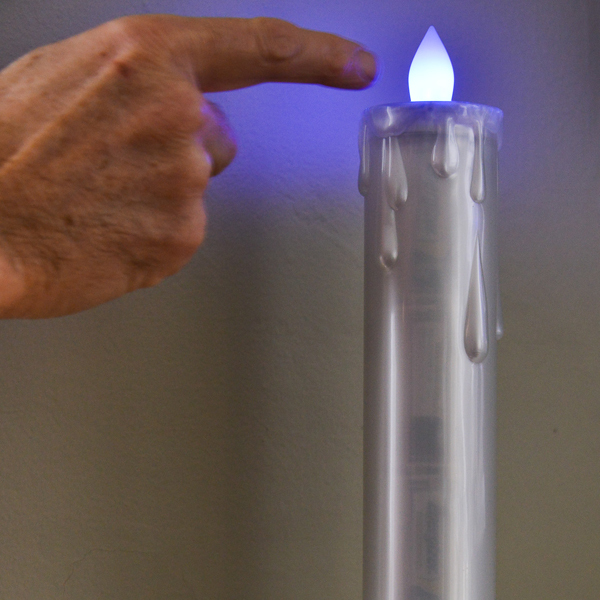 Realistic amber flickering flame effect, steady white, or colorchanging control touch switch. Taper is 9.5" from bottom to tip.